Is This Tenant Trying to Scam Me With a Fake Credit Report? 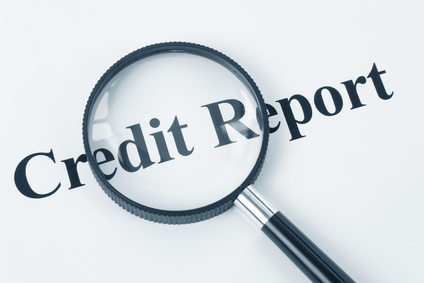 Credit reports are a tremendous benefit to landlords for tenant screening, not just to determine if the tenant has the ability to pay rent, but also to find clues that the tenant may be committing fraud. Simply stated, there is no way the son and the dad have the same Social Security number. There is a small probability that the credit agency lumped together information on the son and the father in the same report, if the two have the exact same name and live at the same address. If you asked for a birth date for tenant screening, the credit company can more easily sort out if it was a mistake. If so, there is a process that the applicant can follow to correct a tenant credit report. However, these credit reporting agencies are experts at sorting through data on people with similar names, and they have a vested interest in making sure this sort of thing doesn’t happen. That may not be what is going on here. You can’t ignore the possibility that you have uncovered a scheme to commit fraud. Your applicant could be trying to put something over on you to gain access to your rental property. Renting to someone with this level of disrespect can easily lead to heartbreak and income loss for the landlord. Every tenant who has trashed a rental property or skipped out owing rent has to look for another place to live. Unfortunately, you don’t know what this person could be trying to hide from you. Is it a simple matter of not having good credit, or something far more sinister, like a criminal history or having damaged a previous rental property? If you are not getting the straight answer on the Social Security number, then the references are probably also frauds. What’s worse, if you rent to this applicant, you won’t know your tenant’s true identity. That will make collecting unpaid rent a nightmare. A landlord needs to remain skeptical and vigilant while reviewing tenant screening reports. In addition to the credit report, be certain to run an eviction report as well as a criminal background check. Compare the reports with the rental application and look for things that don’t add up — a previous address in the credit report that is not on the rental application, signs of a previous eviction, inconsistent employment information, or using a different person’s Social Security number are just a few examples of contradictions that can be uncovered when facing a fraudulent applicant. Previous post: Who Foots the Bill for Tree Trimming?